Update 1: This guide works on Mot0 G, Moto G 2nd generation (Moto G 2014) and Moto E.
Update 2: Now, you can choose once of the audio put devices: headset, phone speaker and Bluetooth speaker. on Moto G. Nowadays, most smartphones do not provide FM radios anymore. This guide teaches you how to use FM radio on Moto G, and some tips and tricks of using FM radio on Moto G.
How to get FM radio on Moto G? If you cannot find the FM radio app on your Moto G, you can install the app from Google Play Store here: Motorola FM Radio. Of course, it is free. The version of this app on Google Play store is newer than the stock one. So, even you can find the app on your Moto G, you may try to update it to Google Play one to get all features and achieve the best performance. Once Motorola FM Radio app is installed on your Moto G, you can start to use FM radio on Moto G just like any other apps. Why does FM radio on Moto G require a wired headset plugged in? To use FM Radio on Moto G, a wired headset plugged in. This is very common for mobile phones. The wired headset acts as the antenna and is needed to receive the transmissions from broadcasting stations. The receiver is for FM broadcasting stations. AM stations are NOT supported. For FM Radio on Moto G, any wired headset should work. It is not necessary to use Motorola headsets. How to play the audio of Moto G FM radio on headset, phone speakers or Bluetooth speakers? First, you can NOT play audio out of Moto G’s speaker when use the FM radio on Moto G. This is simply not supported, although the speaker in Moto G is quite loud. However, in addition to listening to FM Radio on Moto G through the wired headset, you can also listen the audio out of a Bluetooth accessory such as a wireless speaker or wireless headset. Once the BT device is paired with Moto G, the audio of the FM radio on Moto G will be routed to the BT device. Even when you listen the FM radio on Moto G through a wireless speaker or wireless headset, the wired headset must always be plugged in because it acts as an antenna for the FM radio. Recent FM radio app update adds the feature of listening your favorite radios on the phone speaker, Bluetooth speaker or the wired headset. In other words, you have three options for the FM radio audio output. Once you start the FM radio app on Moto G or Moto E, you will find the headphone icon in the top right corner in stations view. If you tap the headphone icon, the audio will be transferred to the phone speaker. The icon is also changed to a speaker. The casting icon will be shown only after you pair any Bluetooth speaker or Bluetooth headset with the phone. Tap the casting icon (which is for Bluetooth speaker, not for Chromecast). You will then be asked to confirm to listen your radio on the Bluetooth device. Once the FM radio audio is transferred to the Bluetooth speaker, the headphone or speaker icon will then disappear. The casting symbol now changes to white inside as shown below. To get the speaker/headphone back, you can tap the casting icon, and disconnect the Bluetooth speaker from FM radio. Please note, it is not necessary to unpair the Bluetooth speaker to get the headphone/speaker icon back. The location of the icons are slightly different when you are in now playing view. In the now playing view (swipe up), the headphone icon or speaker icon will be in the right side and the casting icon will be in the left side as shown below. When Bluetooth speaker is being used the headphone or speaker icon will disappear, and the icon will be shown as filled white. Of course, you can tap headphone icon to switch to speaker, and vice versa. How to run FM radio on Moto G in background? You can sue other apps while listening to the FM radio on Moto G. The FM radio app can run in background just like the music player. When the Moto G FM radio runs in background, you will notice a small icon shown in the top status bar. You can swipe down the status bar to find the FM Radio control in the notification shade (aka notification area). You can pause/play the FM radio on Moto G.
If you tap the control, the FM Radio app will be brought back to the foreground. And you have full control of the app. Another way to bring back FM radio on Moto G to foreground is from the recent apps, which can be accessed from the bottom right of Moto G. Once the apps are listed, you can tap the FM radio app to bring it to foreground. Is FM radio on Moto G locked to one region? When you launch the FM radio on Moto G the first time, it will automatically scan based on the location of your Moto G. If you travel to a different region/country, you can change the region (from the Settings menu) and perform a scan to find available stations. There is no way to “lock” the region. But in different regions, different frequency bands may be used. So, you need select the region and re-scan the stations when you moves to a new location. First, there is no on/off buttons for FM radio app on Moto G.
You can simply mute the radio to turn it off. Once the FM radio is muted, the transceiver chip is turned off automatically to save power. When you resume the FM radio on Moto G, the radio is then turned on immediately. Then, how to mute and resume playing FM radio on Moto G? In any view of FM radio app, tap the dark square button to mute the FM radio on Moto G.
Once the FM radio is muted, the icon will turn into a triangle (play icon). Tap this triangle (play icon) to resume the FM radio on Moto G..
How to use full-player view and min-player view for FM radio on Moto G? When the FM radio is in the full player view, you can tap anywhere in the top half of the view to shrink it to enter mini-player view. You can also drag it down to enter mini-player view. When the FM radio is in the mini player view, you may tap anywhere on the mini-player (except for the pause button or favorite star) to expand it to the full-screen player. How to seek a station in FM radio on Moto G? In the full player view, use the left or right seek buttons (double triangles) to find the closest station that Moto G can tune. You can also manually seek a station for your FM radio on Moto G. When in the full player view, tap and drag your finger on the red indicator in the ‘tuner bar’ – the black band in the middle of the screen that looks like a traditional radio band. The current frequency will be displayed in the top section and you can drag left or right to a specific station. Sometimes, you may noticed you cannot select a specific frequency due to possibly different spacing between station frequencies in different regions. If you are traveling, check via the menu (three vertical dots) that your current region settings are appropriate. If not, change them and re-scan to find all available stations for FM radio on Moto G.
How to add a favorite station in FM radio on Moto G, and delete a station from Favorites list ? To add a favorite station in FM radio on Moto G, you can tap on the star symbol next to the frequency. This works in any views as long as you see the grey star symbol in the FM radio app.The star will turn blue and be listed in the favorites tab. To delete a station from the Favorites list of FM radio on Moto G, you need tap the blue star symbol next to the frequency. The blue star symbol will turn dark. However, if you are currently in the “Favorites” tab, the station will not be removed from the Fm radio app until you change the view (swipe into the “All Stations” view, or expand the mini player, or navigate away from the FM Radio application). FM radio on Moto G fully supports Radio Data System (RDS). However, sometimes you may not see information about the currently playing song on some stations in the FM radio on Moto G, due to the different usage of RDS systems among stations. Some stations may miss some common elements, e.g., station call signs and the name of the currently playing song. Do you have any problem with FM radio on Moto G? Share with us in the comment box below. For more Moto G guides, please check our Moto G How-to Guide page. Although this guide use Moto G as an example, FM radio app also works on Moto E, Moto G 2014 (Moto G 2nd Generation). my older version of Moto G played FM radio synchronized with the radio in my house or car. Now I have Moto G gen 3 and there’s a delay which is infuriating ! Can this be adjusted ? Is there something else we can use for radio? Most of third-party FM radio apps don’t work with Moto G as I know. This is very common for FM tuner apps. For the permissions, it’s normal. You will find other similar apps requesting more aggressive permissions. For the voice issue, did you check the headset? Also you need to check the voice settings. In the bottom right, there is a speaker icon. Tap it to switch to the speaker. How to take backup of photos and videos in Moto g.?? And From where we can see those pics again?? And how long it will b saved? You need to enable the automatic backup in Photos app. The photos are then back up to your Google drive. You can access the photos from any phones with Photos app. You can access it from any web browser from any devices. Not sure if you are still monitoring these comments, but just in case…. Radio app generally great. I have a Moto E2, recently acquired and radio app starts, scans, plays etc fine, using headphones. But many times while playing the radio it will pause playing and then restart automatically after about 5 seconds or so. Sometimes happens a lot (maybe every minute or so), sometimes never does it. I often use radio while out walking, moving in and out of phone signal coverage (which shouldn’t affect FM) but also possibly in and out of good FM coverage – but when the radio cuts out there is no noise or static, it has good signal, then cuts out, then comes back with good signal. However, it does seem to happen worst when I am walking in the same places – i.e. some areas seem to work well, some not so well. I have no idea what is causing this, or how to fix it. I can’t find another FM radio app to compare it with though! Not sure about the issue. Most FM radio apps are for specific phones. You probably cannot use other FM radio apps. This to confirm I have the same cut-off problem with my Moto E2. I did like to use FM Radio during my daily walks but it became too annoying to be worth it. I tried to delete, re-install and update the Radio app, without success. I loaded preferred mp3s instead and play them using VLC Media Player, which respond to my Bluetooth headset’s 3-buttons control, btw. One of my old phones (LG Eve) also had an FM Radio app and it worked great, without any cut-offs, along the same walking paths I use now with my Moto E2. It’s sensitive to the three length of your headset. Try to stretch the cord, then scan again. Thank you for making data-less “real fm radio” available. Will this app work on any other Motorola cellphones? Turbo2? The FM radio app requires certain hardware (chip/tuner) in the phone. Only Moto G and Moto E have the chip as I know. I am still pretty new to Android and my phone is nagging me to upgrade system software. Anything about an Android system upgrade that could negatively affect my ability to use FM radio in my 1st gen Moto G? There was an initial problem with the FM Radio after I upgraded (currently on Android v5.1 – System version 23.26.3) but this was related to loss of bluetooth playback from the Radio. Once reported, this was soon fixed and I’ve found no other problems. The latest FM Radio app. even allows you to record stations audio (only mp3 64k) and sound surprisingly good played back through bluetooth stereo speakers. Can’t change FM stations ( tuning) using key in the Head set…? Hi, I installed a working setup of Viper4Android on a Moto G (3rd gen) resulting in about the same time as the Fm Radio app not playing audio although able to log local radio stations. Any ideas on returning use to teh chipset? FM Radio auto stops in my new moto g (3rd gen).Tried with clear cache and clear data but it didn’t work. I do not have any task manager,antivirus and battery saving apps installed. Anyone have a solution for his problem??? update the fm radio with the latest version, the issue will be resolved. How to go to update option ? I have the same problem. Clear cache and clear data for the fm radio app in Settings -apps. Did you install any task manager, antivirus or battery saving apps? Disable them. File manager seldom cause such problem. But I do not recommend apps from Cheetah mobile. For file manager, ES File explorer is cleaner. If you can get a replacement, you can try to get a new one. Do you get any specific or different error messages when the fm radio app stops? Did you enable power saving mode? You may disable it if it’s enabled. Simon suggest any other radio app can be used instead of the built in, and if I go for replacement also there won’t be any guarantee the same might not occur. This may repeat too. I don’t know any other fm radio apps that work on kitkat or later. As an app, nobody can guarantee it always works. In fact, most vendors do not offer FM radio features. As a result, most radio apps are for internet radios. To record FM Radio you will need to have the latest radio app. (v02.00.0045 which is automatically provided when downloading the Android Lollipop os. You can verify this when running your radio and tapping ‘About’ on the top left drop down menu. When listening to your currently tuned station (singularly displayed by touching the white radio ICON, top left) you will see a red heart, below which is a red vertical tuning line, below which is a red dot. Touch the red dot to record the station, touch it again to stop recording. Playback the recording by touching the triple horizontal bar ICON (top left) and selecting ‘Recording’. Recording quality is limited to on 96Khz bit rate but sounds surprisingly good, even through bluetooth speakers. No red dot is showing in my moto g 3rd gen. Then how to record . I hv purchased my ph on 6th Dec’2015. you can try to update your FM radio app from Play store. My old Nokia wired headphones do not work in my new Moto G 2nd gen (they do actually work with my very, very old Sony Walkman, lol). Does anyone have a recommendation of what headphones I should buy? The headphone only doesn’t work with the FM radio app, or you cannot get any voice at all? Most genetic headset should work with Moto G. Old Nokia headset may have special wiring. I’ve always been happy with the fm radio on my Moto G 4G and was even more pleased when an upgrade allowed me to uniquely broadcast the audio from it to my BT enabled sound bar. That was until another update came soon after I upgraded to lollipop. This useful function was disabled again? Simply corrected by discarding the updates from the app. This leaves you with the annoyance of continuous requests to upgrade the fm radio. Fix the upgrade guys! There are some legal issues in some regions fir recording FM radios. So Motorola probably will not offer this feature. You probably have to try third party apps. Unfortunately, I have found any of such apps that work with Moto. If you read my comments again, you’ll notice that I said “you can” record audio from any radio station you’re tuned into, so it’s included in the generic Radio app which comes with ‘lollipop’ upgrade. I noticed the new feature and tried it out. It recorded and played back several stations. I only mentioned it in passing, don’t see me needing the feature all that often. Bluetooth needs to disabled when recording but functional when playing back recorded material. Thank you for correcting me. I didn’t track the updates for the FM radio app. It seems they added the recording feature. I was told last year that they would not add it. Anyway, I will find time to update this page to reflect the changes. This tutorial says it is for the Moto G and also works for Moto E – Can you tell me if the “now you can play FM radio through phone’s speakers or bluetooth” update to the tutorial also applies to the Moto E as well as the G? Thank you! Yes, the app actually is identical. How do I change the radio station with haedset? You cannot. You have to change radio stations on the phone. The FM radio app doesn’t accept inputs from headset. My Moto G Fm radio does NOT have the headphone or bluetooth icons…in fact it only has the radio and 3 bars that have the scan, change radio region, about. It’s 01.10.0060. no other icons. I have uninstalled the upgrade and than reinstalled it. Still no icons. I want to use bluetooth headphones. You need also update the phone. Some Motorola services are also needed. How do I update the phone? What other “services” do I need? Hi Simon, my phone does automatic updates, do I need to do something in addition? Sorry to be so dense but I’m not that savvy. I’ve “googled” this problem but couldn’t find a “fix” anywhere. I would appreciate any help. ANYONE else have this problem? You need update both the firmware (in Settings–about phone–system updates) and play store. Not sure about your problem. it could be due to other apps. Ok, well thanks anyway. I’ve already checked for updates in settings and the play store, there’s no update available. 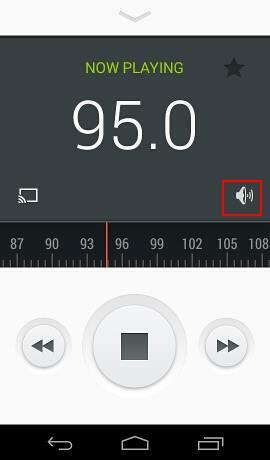 There is no record button in FM radio app on Moto G. As I know, it is for legal reasons. I haven’t check it out in my moto 1G, but the Moto 2E of my wife runs the app for some minutes and then it just stops. As if it was closed to save batery or something. And that is after 1 to 5 minutes of running with the screen turned off. Any idea how to prevent this? Did you install any task manager apps or antivirus apps? Such useless apps may cause the problem. It sounds like due to some task manager apps or some settings in developer options. Of course it is possible you get a defect one. 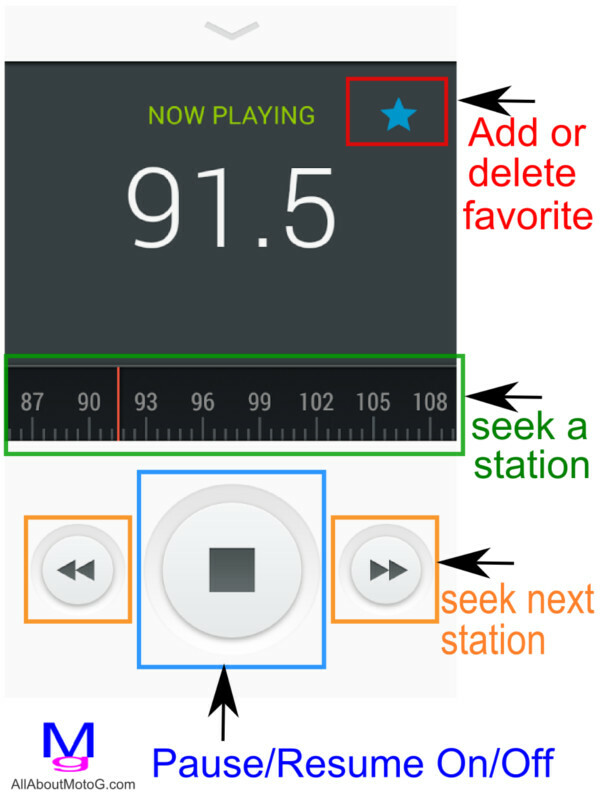 Once you start the FM radio app, you may try tap the back button so that you close the app UI and leave it in background. You can check/stop from notification area. Anyway, if you can still get a free replacement, you can try to get a new one. In moto1 where do we find my files…??? And how to delete a song in play music…? Play music is a music player and it cannot manage files. I’m using v01.10.0060 of the app with Android 4.4.4, but I do not see ANY icons in the upper right. I only have the “FM Radio” icon/menu in the upper left. How do I get the upper right speaker/output choice icons to appear? My goal is to be able to select the output as phone speakers (rather than headset). I think it is the latest version of the FM radio app for Moto G.
Hello and thank you for your reply. Unfortunately, it did not work. I cleared the data (the Clear Cache button was not highlighted, so I presume that it was clear already) and cycled the power (turned the phone off and then on again). Still no icons in the upper right corner. Not sure. You may backup the phone and do a factory data reset. Can you scroll through favourites from notification screen as opposed to opening full app? Probably not. You can remove some stations you don’t like. How to record FM in moto g? Motorola does not provide recording features due to legal reasons. I am not aware of any such apps that are still working in KitKat or later. I do not see – Headset / Speaker icon on the radio – on my MotoG 1st Generation. Can anyone please suggest? Did you update the FM radio app? I thought once I’d updated to Lollipop this would work for me but like Alakh, I have 1st Generation Moto G and I too have no icons and cannot use either the speaker or my bluetooth earpiece to listen to the radio. Yes I did update the radio on Kitkat months ago. If I go the the Radio update at the playstore it just says installed. You may try to clear cache partition to see whether it helps. Please follow this guide to clear cache partition. If not, you can backupyour phone and perform a factory data reset. I don’t think so. You have to use the on-screen options. Some of my apps got updated yesterday..
Now my gallery is not showing crop option and rotate options in menu of my gallary.previously this was not the issue with my phone. In Gallery, open a photo, tap Edit (pencil icon). In the bottom, you should have 4 tabs. What do you get? What;s the version of the gallery app (Settings–App_-Gallery)? How to share a bluethooth speaker or Bluetooth headset with phone? You need pair the Moto G with the Bluetooth speaker first. 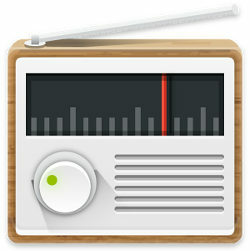 Then in FM radio app, you should have the icon as shown in the guide. How to play a loudspeaker on FM radio in Moto G?? tap the Speaker icon in FM radio app. Please note you must put the wired headset even playing through speakers because the wired headset acts as FM antenna. how to set auto off option in FM and music player? I don’t think the FM radio app has this feature. For music players, if you have a player or album, if you choose play once, it should stop automatically. But most players do not have a duration (e.g., 30mins) based control. How to delete sim contacts in moto g? Moto G does not write/delete contacts in your SIM card. It only imports contacts. You can manage contacts in the People App. I am using MOTOG and I also have the FM Radio app version: 01.10.0060. Once I open to the app. I do not see the speaker icon on the top right. can you help me on this? my android version is 4.4.4. What do you suggest? I live in India. Not sure about why you cannot get the icon/button. Deepu Augustin, I at first had a problem with radio not playing in sterio and found that if I didn’t press the headphone jack too far into the phone it was fine. Hope this helps. Yes I know that but as I said if I push it in all the way it only plays in mono, if I leave it not pushed in all the way it’s fine, plays in sterio. Did you try this? With a previous HTC smart phone it worked fine with it pushed in all the way but not on this Moto G one. I have 1st generation Moto G 16gb and I too don’t have 3 verticle dots nor an icon for speaker/headset. Also I cannot use the radio from the locked screen, there are no radio buttons? All I have on top left is an icon of a radio. I have version 01.10.0060. All I can do is Scan, Change radio region and About. The speaker icon should be on the top right. Same issue for me in UK. No icons in top right to turn speaker ON/OFF and for BT. Having to use a widget fix ‘HF Button Widget’ installed from Playstore. It seems some owners are facing this issue. I have no idea on this. Thank you for sharing the info for the widget. For the stereo output, did you check it with some eqipment? It probably depends on the headset. Of course, it could be a software design problem. For the latest version of fm radio (you have it already),there is a headphone icon on the top right. You can choose speaker, Bluetooth speaker or the headset for radio output. I will try to find time to update this page on these new features. Actually, I got contradicting answers. The design is for stereo as I know. Very likely, it depends on batches as well. Some may have software problem, a few batches may have hardware issue. For mine, I feel it is stereo, not like mono. But I am not an expert on this. In settings – sound, turn off audio effects to see whether you still have the problem. Can you open the fm radio app? Can it scan radio stations? What’s the version of your FM radio app? In the new version, the menu button is on the top left (not top right). Tap About to check the version. In the right, you should now have an icon of headphone/speaker (tap it to switch) and casting(for Bluetooth if Moto G is paired with an speaker). This is the latest version of the FM radio app. In this version, there is an headphone/speaker icon in the top right. If you pair your phone with a Bluetooth speaker, a new icon in front of headphone/speaker icon. Yes , as I said has been updated to the new version , but not the headset appears in the top corner , my brother has a Moto E and the headset appears , as I think mine is the first generation G can not be upgraded correctly, as too many people are complaining. Not sure whether there are some bugs for Moto G in some regions causing the issue. You can transfer the audio to loud speaker. 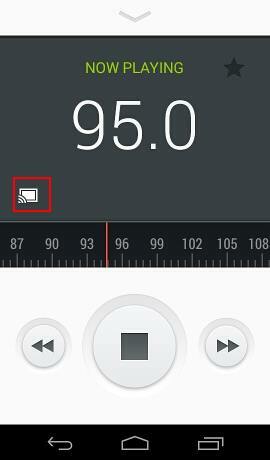 In FM radio app, tap the menu key (3 vertical dots, in the top right), you can choose switch to speaker. No Chromecast icon for me, hence not able to transfer fm radio stream through bluetooth… I’ve updated more than three times and my FM radio app just doesn’t show the Chromecast icon. I’ve tried everything and, in my opinion, should be some kind of bug. In addition, I have not the three dots (never had, not even before the updating) to reroute the fm radio through speakers. Please developers, fix both of them, and keep the good work! Thanks!! FM radio app does NOT support chromecast. In the top right color you can find the 3 vertical dots once you open FM radio app. Are you using the Motorola FM radio app or from other developers? Can you elaborate? I get only 3 options sca, change radio region and about. I couldn’t see the switch to speaker option. Normally, there should be 4. Switch to speaker is in the 2nd position after scan, but before change radio region. If you tap about, what’s the version of the app? You may try to update it from play store. You may check the updated section in this page: How to play the audio of Moto G FM radio on headset, phone speakers or Bluetooth speakers? Everytime I play the FM radio, after a while (1-5 minutes) phone freeze then reboot. I have two identical phone (me and the lady) and both are acting the same way. Any suggextion ? Not sure. The FM should work without any issues. The rebooting can be caused by insufficient RAM, overheat (unlikely), or other apps (likely). I just had the same problem, FM Radio ran for a couple minutes, then the phone rebooted. I reloaded FM Radio, it ran for a minute, then the radio stopped, phone rebooted again. I just activated my phone this morning so I don’t have a lot of apps loaded yet. Hope this isn’t a non-fixable problem. Here is an update, started the phone on safe mode, ans played the radio for hours without a reboot. So it is definatly an app conflict. Thank you for sharing the the findings. How can i listen radio through my bluetooth headset? I haven’t found a way to do it. Hi, My Moto G is updated but the FM radio keeps in MONO, no stereo sound at all. I know that this subjet is already mentioned but I insist because is important. I think is a bug of the app. Do you know that is going to be resolved in future updates? For copyright reasons, the app itself doesn’t provider recording feature. I guess it depends on the radio station and the contents. Any app to record the song playing in FM? I am not aware of any good radio recorder for Moto G. I tested some before, none of them work in Moto G.
My phone is stuck in “speaker mode” I can’t hear anything not even phone calls. If im asking a phone call I have to put the phone on speaker to hear what’s being said on the other side. But like if I want to watch a video or play music on my phone its not working any idea how to fix this? If rebooting your Moto G does not help, you can try to backup your data and perform a factory data reset (settings–backup & reset). How to record songs from FM???? Please help me out…..
For copy right reason, Motorola doesn’t provide the recording feature. 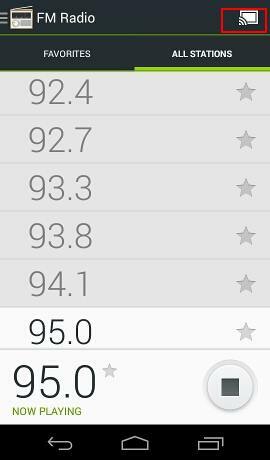 Does anyone know that the FM Radio of moto g doesn’t play frequencies having even number (For example: it can play 93.5 but not 104.8). Not exactly. Probably the station was not found. You can try to rescan the stations. Most real FM receivers also find stations at odd numbers for the first decimal digit. It’s not a characteristic that is specific to the Moto G. I think it’s probably an FM broadcast standard. From Google Play store, just like other third–party apps. Do u suggest any other app for radio other than the default moto g fm app. It troubled a lot while adding channels manually as well as there is no option to record a song/show from the playing stn. Most of the radio apps are for internet streaming radios, not using the FM tuner for local radios. I am not aware of any decent apps that works with Moto G FM tuner. Anybody know about a home screen widget to control the FM Radio App? Headset is just used as fm antenna. You cannot control the radio app from the headset. What are the best wired headphones to pick up at a good price? It works as a normal FM radio, NOT internet streaming radio. No mobile connection is required. Awesome you just answered my question at end of month I’ve ran out of data and I have WiFi at home so its not a problem but I’m soo glad I can listen to FM radio when I’m not connected to online. My Moto G have a problem with FMRadioService. Everytime i plug in my headpones, FM Radio suddenly stopped. Can u help me? Are you talking about online FM radio? If yes, you can disable Motorola FM radio app to see whether it helps. If not, to use the FM tuner, you must insert the headset first. How to Name a Radio station in Moto G? I haven’t found a way to do it yet. Probably the feature is not available. It depends on the radio station. But very likely, it is in stereo. Hi I bought new Moto G 16 GB. After playing FM radio for some time, i am getting pop up with weird message “FM is used by another app. Please close the app first” and I am not able to start it again. It takes about half an hour to start FM. Is there any way to control Radio FM in lock screen or is there any software for this. It seems Motorola does not provide any controls for FM radio control on local screen. FM Radio on Speaker? is there any software update available? No. It is still impossible. It is only possible for Bluetooth speakers. Can’t play radio on moto g via Bluetooth speaker. How do I shift the audio from headset to bluetooth. the simple way is to unpair it. 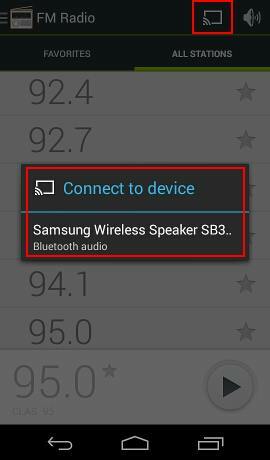 When they are paired, you can go to settings–Wireless & Networks– Bluetooth to change the audio output. how to change FM station from headset.? No, FM radio on Moto G cannot be controlled from headset, except the volume. You have to change FM stations in the app (on the screen). It is a bit strange, although some customization may be done for some regions. In most regions, you need “upgrade” to kitkat. Of course, some distributors may do it before shipping. You may check with the vendor. If it is Google play edition, there is no FM radio. This is normal. how to play fm via loudspeaker?????? You cannot play FM radio in the speaker in Moto G.
But you can play it in Bluetooth speakers or Bluetooth headsets. Thank fou for sharing this workaround. Glad to know it helps you in using the FM radio. Enjoy your Moto G.
This was really helpful, i just lay hands on my new moto G and was disappointed that it can’t be played on speaker. You may try a Bluetooth speaker. Thank you very much you are great. Suggested a really working app.